Antislip The Product - What Is It? 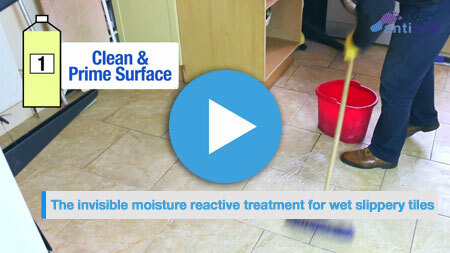 Antislip is a unique liquid applied system that will increase the wet slip resistance of all types of tiled floors including quarry, ceramic, porcelain and natural stone. The system is also equally effective on Terrazzo and power floated concrete. Antislip can be applied to existing floors with no structural disruption and with minimal down time which means the floor can be walked on immediately following application. The system is environmentally friendly fully biodegradable and contains no dangerous solvents or toxic chemicals. Application can therefore be undertaken with no disturbance to pedestrian movements in or around the building in question. Antislip was developed in the United States in the early eighties in collaboration between the US government and the airlines industry. The system was originally developed to stop aeroplanes aquaplaning on wet concrete run-ways. Through further development and re-formulation it was found that the system would also work on natural stone and tiles. In the late eighties the commercial manufacturing rights were sold and the Antislip system was marketed across the United States to the commercial sectors. The system is now manufactured in Holland and distributed throughout Europe by an exclusive network of Independent Distributors. Surefoot Systems UK Ltd was appointed exclusive distributors for the Antislip system in 2002 and now distributes the system throughout the United Kingdom and France. 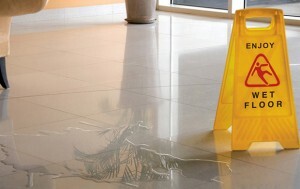 Antislip The Product – What Is It?